I was surprised that the Thunder held the Grizzles close the whole game and came very close to winning. This is my first home game of the regular season, I was in California the last 4 games and kept up with my team stream app. Friends texted me about Reggie and his antics, He deserves to get paid but come on go out with class, To tell media you are here to fulfill your role while you are here is going to create issues. Which it reportedly did, when Ibaka and Perk froze Reggie out not passing him the ball. 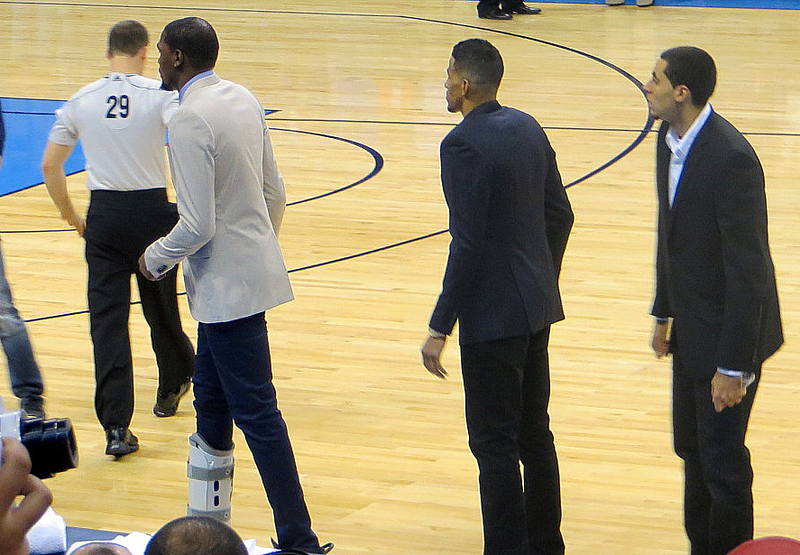 Tonight was exciting even with the Stars Kevin Durant and Russell Westbrook out. Grizzles move to 6-0 with a final score of 91-89. The crowd went crazy for Jeremy Lamb at one point in the game. Oklahoma Thunder is gimping along. 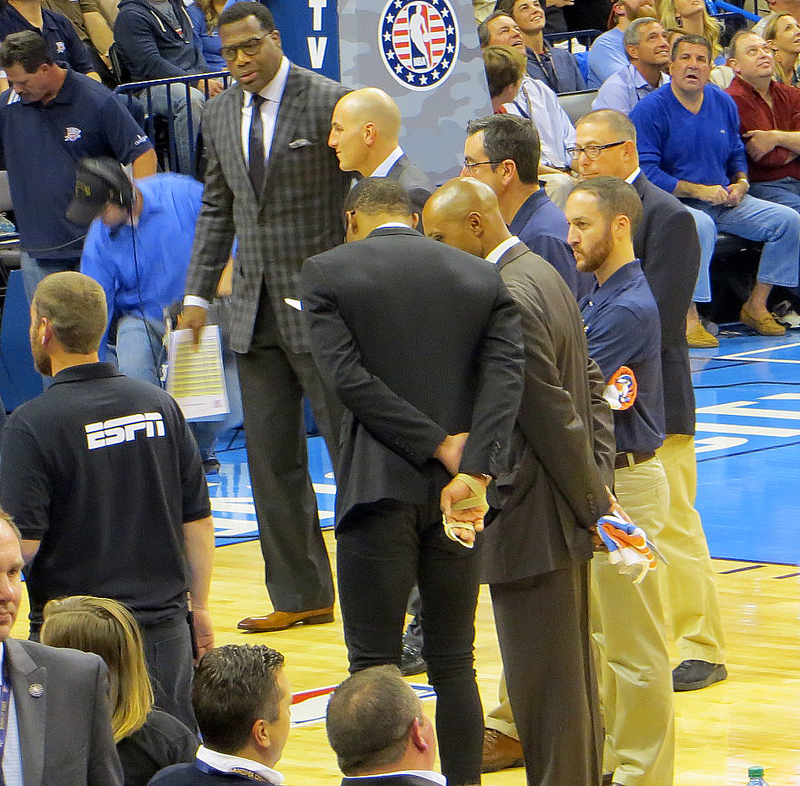 Russell Westbrook with his hand brace. 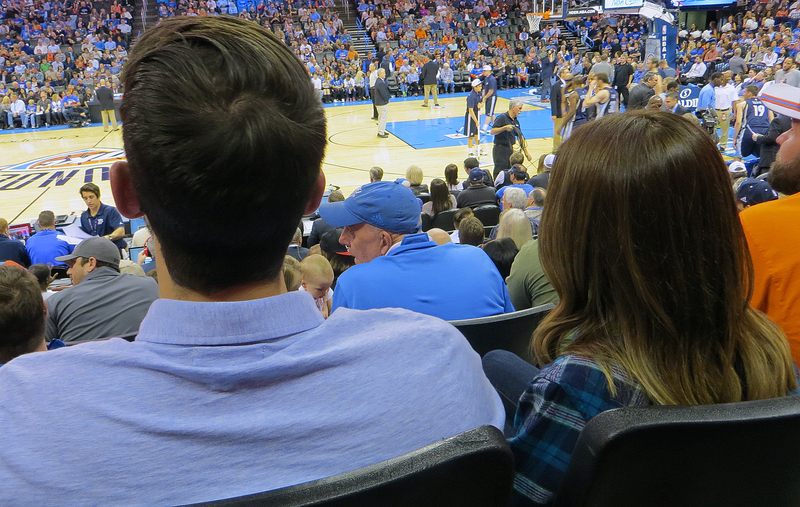 The worst part of the night was sitting behind people that clearly are not use to NBA games. The woman in front of us was cringing every time we cheered! It was so obnoxious. We did educate them but it was sad to see fans not standing and seats empty. This week was hard. 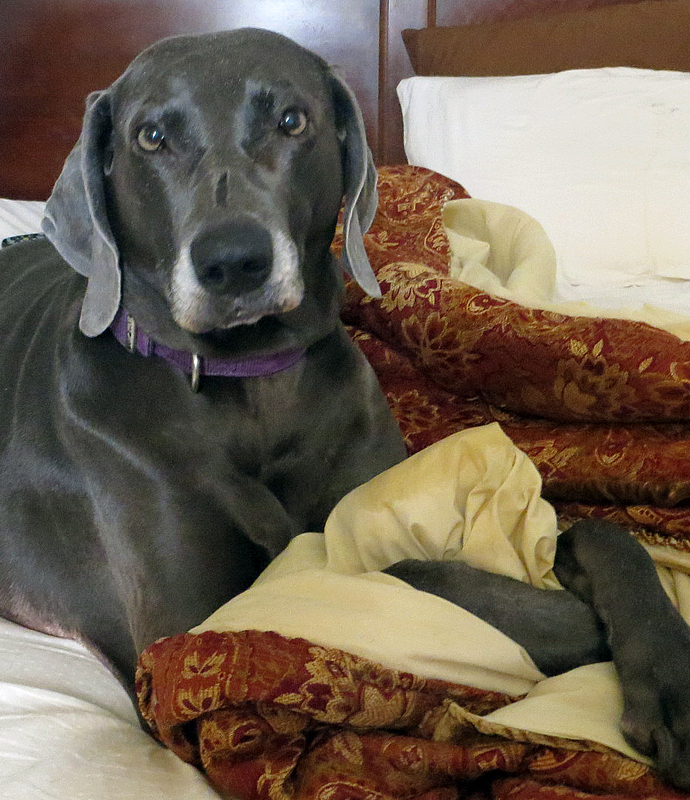 My favorite Thunder fan passed away. Violet here with Maggie watched a lot of the away games with me, On October 29th Violet Passed away. 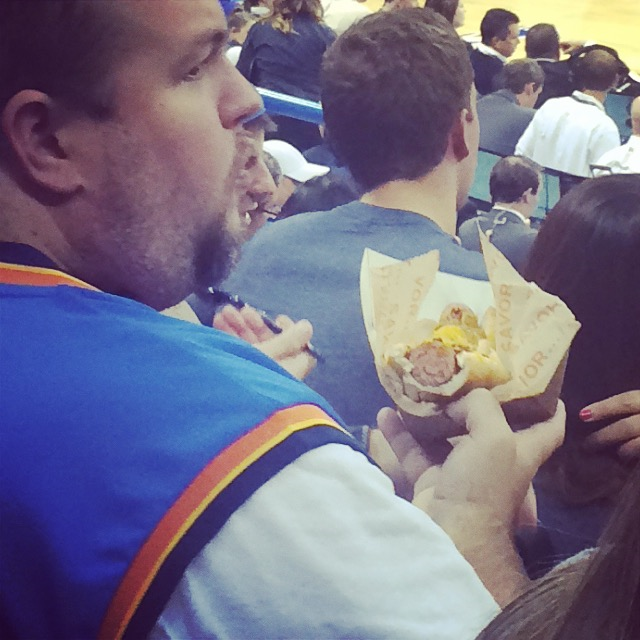 The Thunder are 1-5 that’s hard to write that without a little whimper. Sunday they play the Kings. Lets go Thunder! Ahhh it feels so good to be back in the Chesapeake arena watching our boys the Oklahoma City Thunder. Even though it was preseason game it was still exciting to see new faces along with the normal crew, Westbrook, Durant, Ibaka, Perk, Jackson, Cullison, Adams, Lamb, Jones, Roberson. 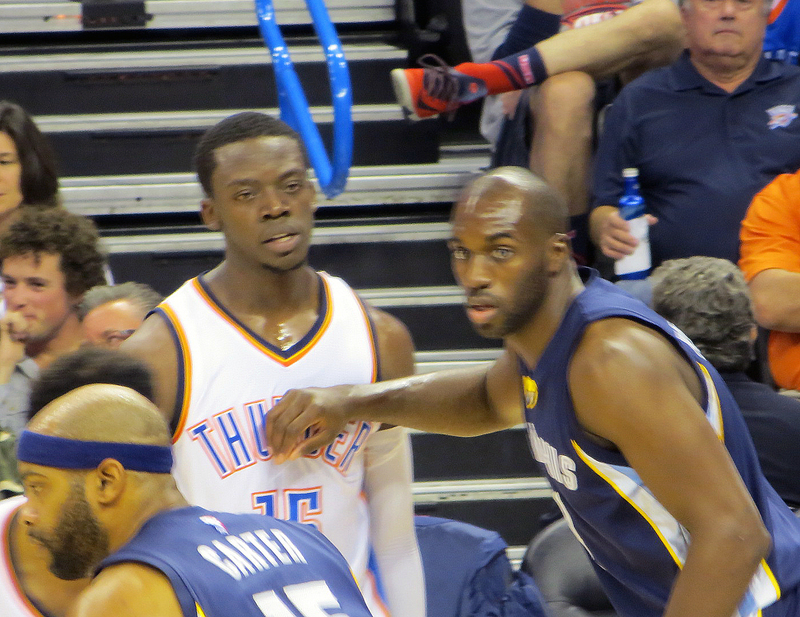 The Grizzles have been a great rivalry for the Oklahoma City Thunder. Playing them in the first round of the playoffs last year was brutal. Every single game was close or went into overtime with all the drama that fans crave but adds gray hair and gives ulcers! After we won game seven we met some fun Memphis Grizzles fans at the Skirvin Hotel downtown. We connected and have kept up with each other and this January we will meet up for thunder/grizzlies in Memphis! 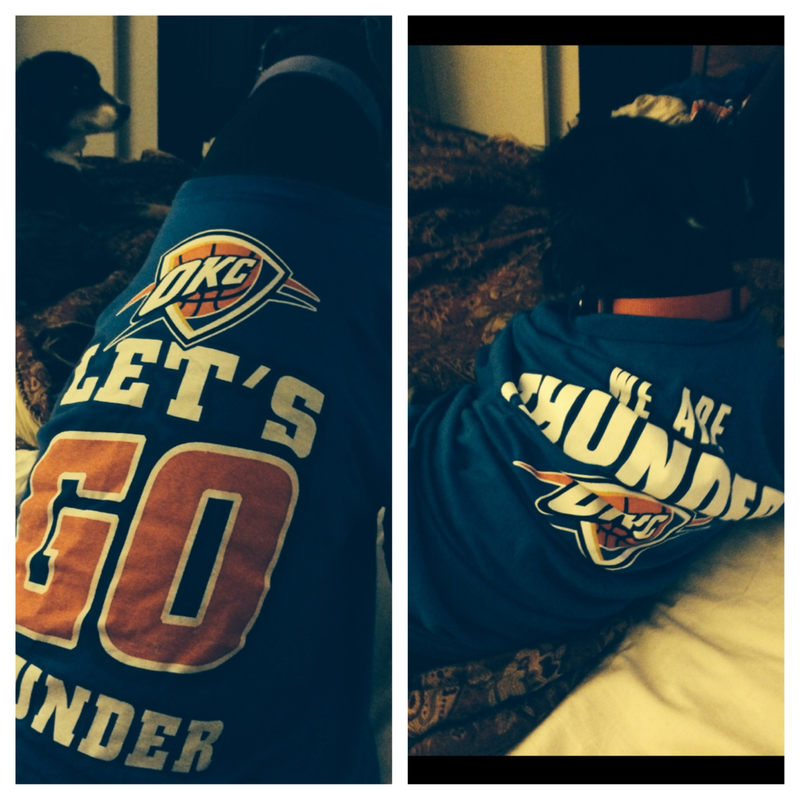 Wake up Oklahoma City Thunder Fans!